The Cape Naturaliste Light House is the northern trailhead for the Cape to Cape Track. There is parking,information and a restaurant available. 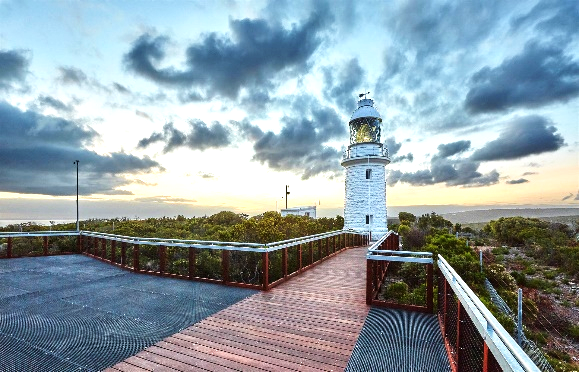 The first 3.5 km from Cape Naturaliste Lighthouse to Sugarloaf Rock has been constructed to allow assisted wheelchair, gopher and pram access. All surfaces are either sealed or is boardwalk.